You Got... Classic Berry Flavours! 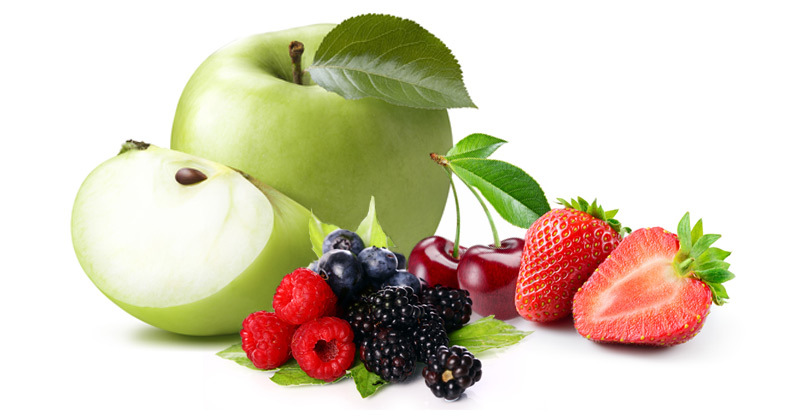 Fruit flavours are some of the most popular choices of e-liquid. Not quite as out-there as the more unusual e-juices but with more choice than just tobacco and menthol, classic fruit flavours strike a perfect balance between the bold and the standard. You can’t really go wrong with berry fruits. Providing a sweet, mellow taste reminiscent of black and red sweets, blackberry picking in the countryside or a refreshing drink of summer fruits squash, berry and cherry flavours rarely disappoint! Whether you prefer super-sweet strawberry, full-flavoured forest fruits, or something sharper like cherry or mixed berries and apple, there are plenty of options to choose from. Not feeling fruity? Don't worry, we've got more flavours than you can shake a stick at! Alternatively, if you want to find the perfect flavour all over again, why not return to the start and choose the path less taken?